Businesses initially despised online reviews but have come to see them as an important part of their research and quality control systems. But doctors and other health professionals haven't reached that point yet, a new study finds. 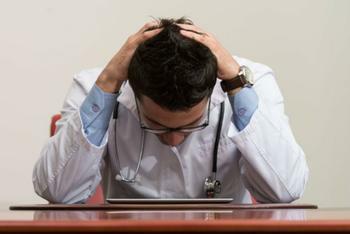 While patients find that online reviews of doctors empower them to make better-informed choices, doctors say the reviews add to their stress levels and can interfere with the doctor-patient relationship. The study, conducted by Alison Holliday of Harvard Medical School, surveyed physicians and patients from four hospitals in a large accountable care organization in Massachusetts. Their web-based survey was completed by 828 doctors, and a mailed survey by 494 patients. The study drew a distinction between public, independent websites like HealthGrades.com -- which is sort of Yelp for healthcare -- and health system websites which publish reviews of their own physicians. In general, doctors were less supportive than patients of sharing data on the public sites and more likely to trust information on health system websites more, while independent sites were the preferred go-to source for patients. "Patients may lack trust in health system websites due to concerns regarding bias, as these publish reviews regarding their own physicians," says Holliday. "Health systems seeking to publish patient experience survey data will therefore need to engage patients in their trust of what is very likely a new and complicated data source to them." 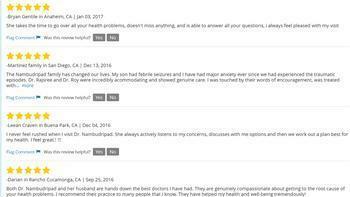 The independent sites tend to carry reviews on a small percentage of physicians, and then only a handful of comments per doctor at that. Health system sites, in contrast, portray numerical ratings and explanatory comments collected from standardized health system patient experience surveys, Holliday noted. These surveys are carried out as part of internal quality improvement programs of hospitals and health practices. The study found that online ratings and comments place an extra weight on doctors' shoulders. The majority (78 percent) surveyed said the possibility of negative online comments increases their job stress. Patients were more supportive of making in-house health system patient experience data available publicly. One in every four patients (29 percent) surveyed, however, said that their comments might be less candid if they knew beforehand that these would become public knowledge online.